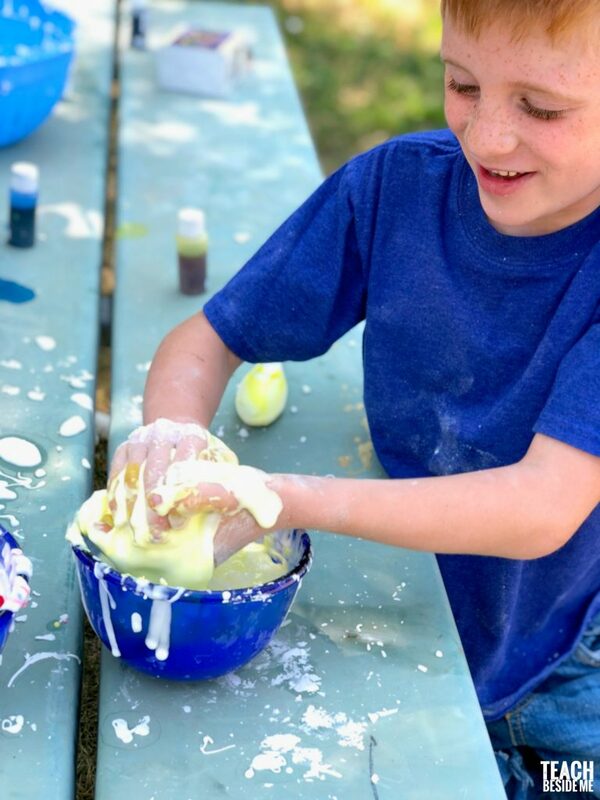 Have you ever heard of Oobleck? 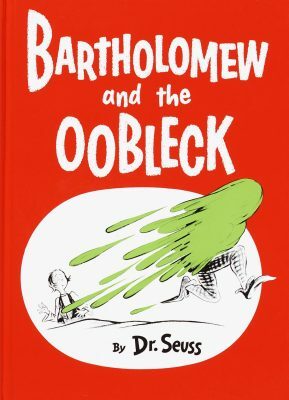 Dr. Seuss wrote a fun book titled Bartholomew and the Oobleck. It’s a silly one that inspired the name of the cornstarch and water slime that everyone loves to make. 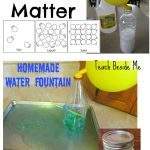 It is a perfect and simple sensory play activity for kids, but it is also a great lesson in science. If you want to know how to make Oobleck you have come to the right place! It is made of cornstarch and water. When you mix the two together it makes a non-newtonian fluid (a liquid that does not flow according to Newton’s law of viscosity). When you apply pressure it gets firm, but when you release the pressure it is gooey and liquid. 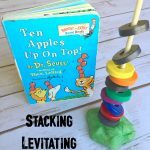 It is a liquid and a solid at once and it is seriously a ton of fun to play with! If you just let your hands sit in the mixture, they will sink in like quicksand. And just like quicksand, the more you move, the harder the mixture gets making you even more stuck! 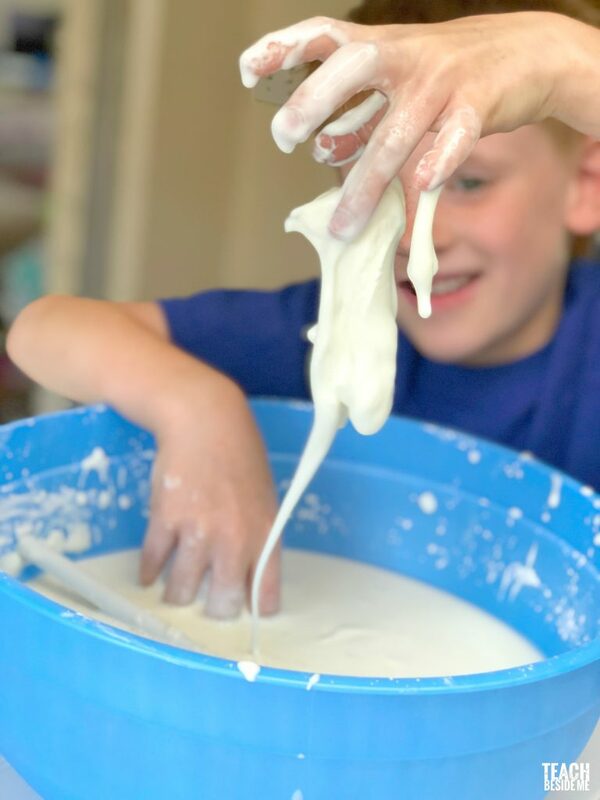 Have you ever wondered how to make Oobleck? This recipe is super simple to make. You need just two ingredients: Cornstarch and Water. You need two parts cornstarch to 1 part water. We made ours with 9 cups of cornstarch and 4 1/2 cups of water. 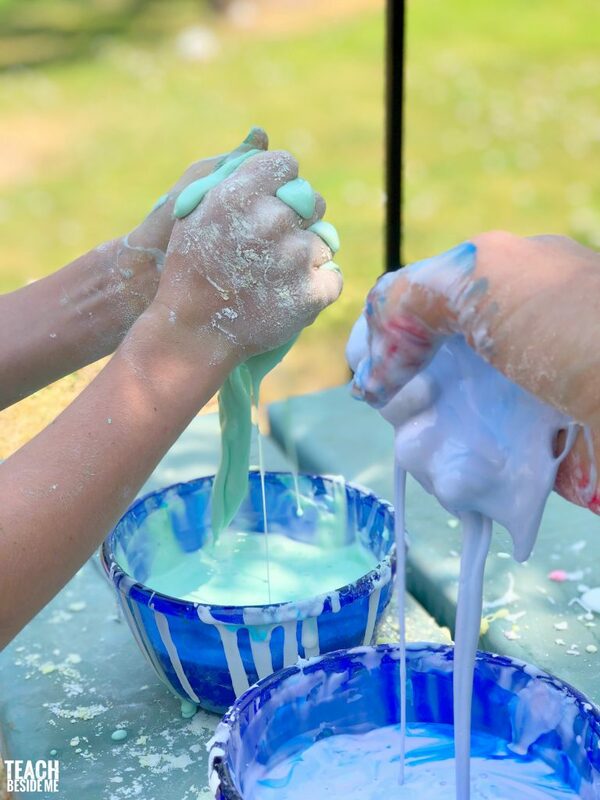 Mix it in a big bowl and find a place where messy play is a-OK. We took ours outside so the kids could get as messy as they wanted and be hosed down after. 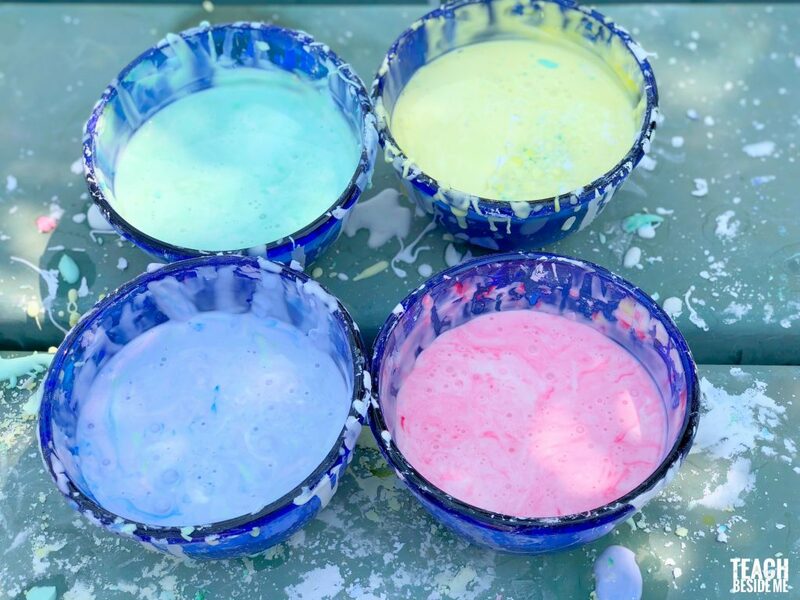 After a bunch of play, we divided our oobleck out into 4 different bowls and mixed in some coloring. I used liquid watercolors for ours, but food coloring would work just as well! 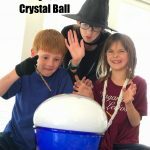 I have done this a lot of times with my kids, but it always seems to amaze and excite them. The bigger kids remember it well, but my younger kids needed a chance to dig in and get messy. Its always fun to re-make the old classic science projects. If you make a big enough batch of it, you can even walk on it!! Just a heads up: you do not want to pour this down the drain. It will clog it up. 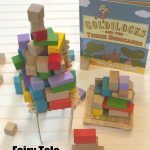 If you have never read Bartholomew and the Oobleck, it is worth the read. We always love a good, silly Dr. Seuss book. This one is a Caldecott award winner, so you know it is good! It is about a king who is bored with regular weather and asks his magicians to make something new. 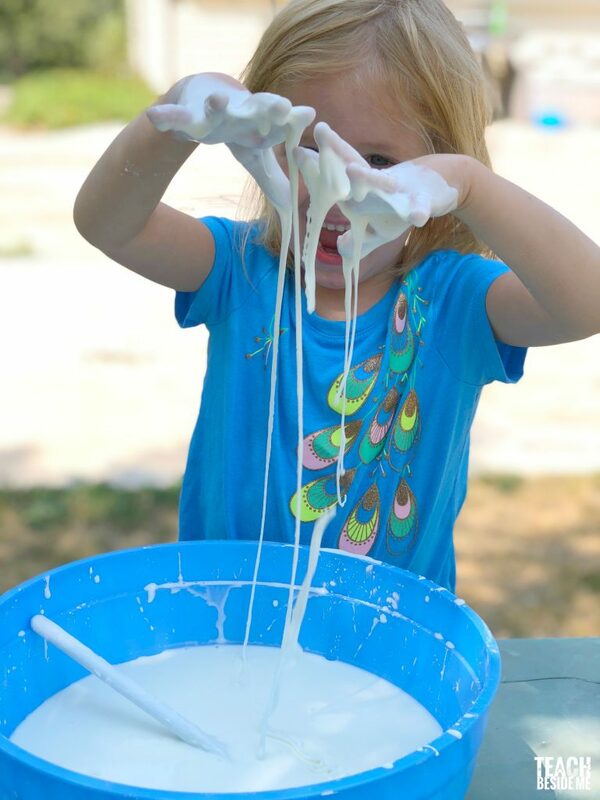 It rains sticky, gooey oobleck and it makes a huge mess! Bartholomew, a wise page boy, helps solve the problem with just a few simple words.